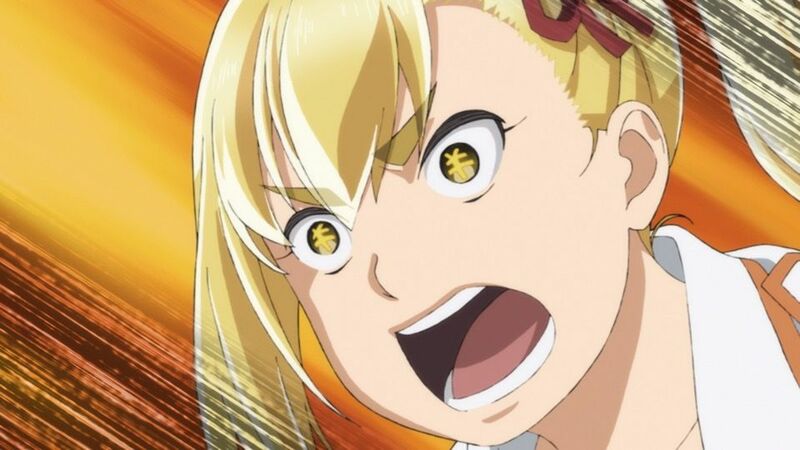 A new page is open with this new Hinamatsuri episode 5. Anzu and Hina are in the river bank tarrying there, quietly. Until Anzu notices that Hina preserves her video game more than Anzu’s new playing trick. Which was a thread hand trick that the old man thought her? Either way, Hina expresses a non-caring emotion about it. Which makes Anzu think that perhaps she needs money to play a video-game like Hina. So her upcoming plan as she thinks on the subject “money” was to get a television. Anzu could then sell a television to a man. Anzu had despicable thoughts about money as she brought herself to a realization. That she should have fun with the money she gets. Even if you work endlessly for money at the end of the day you would want to usher it all for your greedy purposes or just your inner wish to have fun. All of those are quite understandable, hence the thoughts of Anzu. The man that Anzu and Hina met was somewhat shady, he gave me a Nitta vibe honestly. It’s like they were long lost brothers from a different mother or something among those words. In the way of the meeting, Anzu finds a peculiar spot upon the river bank in which upholds a pile of television boxes together. Seeing those she collects them to her new collection and brings them to the man. Not for the surprise, the man implies that the Televisions are worth 10 yen, which equals 77 euros for most of Europe, as for Dollars, it equals a portion of 92 dollars. Ah lastly, for the Indian Rupee, it equals a portion of 6.12 rupees. Couldn’t forget about that last one of course. Either way, it was clear that Anzu lacked the budget, just like 8bit studios, sorry lame roast, but the truth. Hina to help Anzu makes a call to Hitori and tells her to bring a television along with it. Of course, for the utter convenience, she does that, although, her mother makes her carry the television in a sealed box in a chart. Not only does that bring the attention of a police officer, but she is taken in for it. Poor Hitomi honestly, she is just an average middle-schooler with an overwhelming talent for bartending stuck with an airhead and a homeless tsundere. That’s what makes this trio so iconic, they have such differences that it makes a very pleasing adventure to watch. Adventure, in the sense where you have to be willing to follow along every single one of their actions and interactions. Then you will get the gist of it, the true radiance of this show, an outstanding, astonishing beauty that lies within its characters only. I sometimes really wish Nitta got as much screentime as the trio gets. As much as their presences are adorable, to me, it is banal how such an amazing character like Nitta gets shadowed by their omnipresence. Mainly Hina, as you can see from the second part of this episode. It’s not like it comes down to a personal choice and preference. His presence just makes this whole anime way more interesting and funny. His expressions can only match him, while a certain level of comedy belongs to him only. If there is a thing that I have noticed from this episode, was that many characters try out the shady expression to express some comedy. Now while they do not fail to do so, that element remains strong with Nitta for the most part, and that ladies and gentleman, is one of the reasons as to why he is the true scapegoat of this anime. On the subject though, both Hina and Anzu end up searching for televisions on the grass. Somewhat questionable, but it feels intentional. Sometimes this anime provokes you into giving deep thought, but truth is, it’s just there to make a parody out of it and make you realize that in a funny way. That’s why in the end you will end up laughing more than usual. Establishing a certainty in terms of the similar entrance like the last episode, Hitomi has herself involved in more and more trouble. This time around, joining the cast, 3 new characters. 2 boys and 1 girl. Forgive my lack of knowledge for not knowing their names, I can’t exactly remember if they were mentioned in the episode or not. A strange occurrence between the ending of this first half and relapsed of this second half triggered this. Hitomi being caught full hand entering a bar, with the sensei as well. One of the boys has a submerged thought about Hitomi being a prostitute. But not as heavy as you think, just some light-hearted random thoughts. So in school along with this new girl. A glass freak apparently, they decide to spy on Hitomi multiple times. Randomly enough, Hina was always present in whatever moment that they attempted the try upon Hitomi. Hitomi gave the weird hilarious expressions as always. In a sense, making it seem like she either enjoys creating odd atmospheres. Or is just a complete unlucky skilled bartender. After many failed attempts they end up stalking her all the way up to the bar. One of the boys still has those thoughts, but it only takes his innocent mind so far. Nitta comes along to make the gag level bar suddenly increase way more. Hitomi pretends to not be a bartender denying every word thrown in her way. It was sorta hilarious I guess to see such events unfolding in such ways. Since there is no general overall plot except the “Follow the protagonist’s everyday life” type of plot. That’s fine, Hinamatsuri excels at characters, not a plot setting and such. 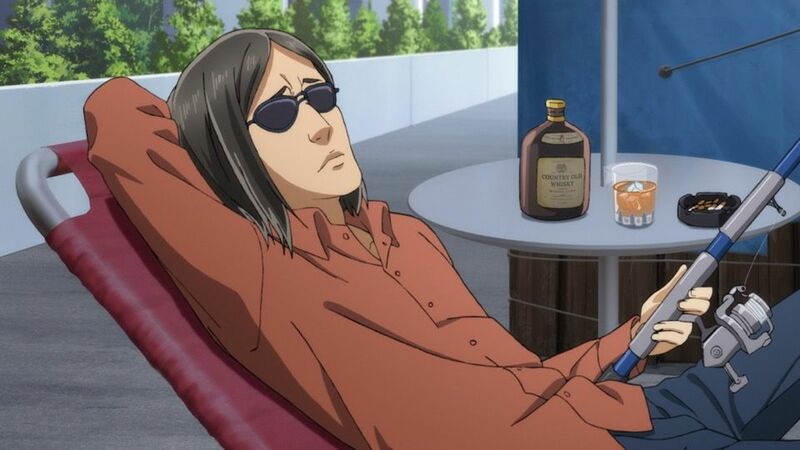 That’s why you can be so relaxed when watching this Hinamatsuri Episode 5. Because you don’t have to give much thought about the possible plot. There is no need, just enjoy each character and its hilarious interactions. That is the main key core to enjoy this anime so far for me! 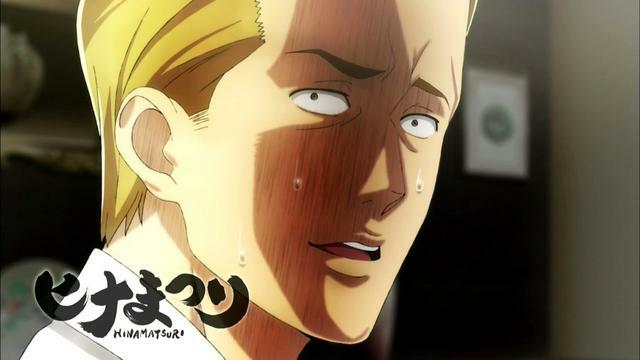 Especially this Hinamatsuri Episode 5. 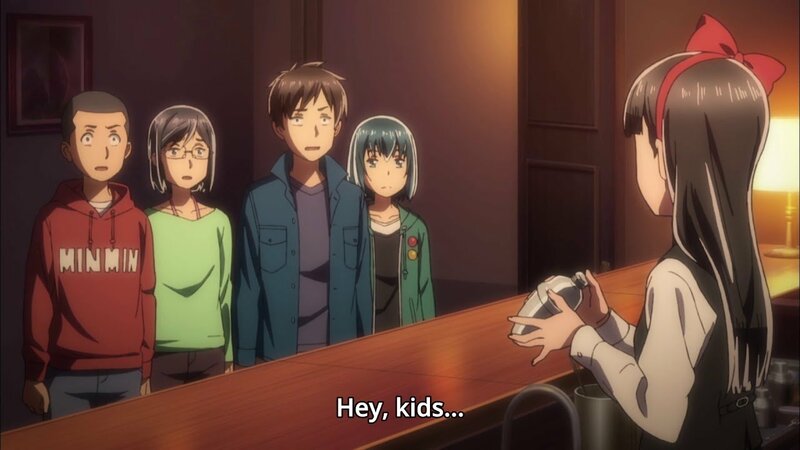 This Hinamatsuri Episode 5 left us feeling more established to its essence, which is to be able to relate to each character perfectly. While it wasn’t outstanding like Episode 3, it still has its own bone to cover up for it. The comedy remains supreme for its most important fundamentals. Aside from that, the events sometimes feel somewhat sluggish, won’t lie. But I won’t complain, it is delivering quite well. Previous Post« Previous Cat Vision – How cats see the world?